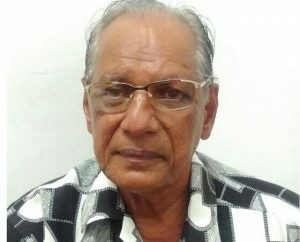 The 71 year-old Guyanese man, who was arrested last Tuesday in Grenada after seven pounds of cocaine were discovered under the seat of his motorised wheelchair, pleaded guilty to narcotics trafficking. Haniff Bacchus would be sentenced on May 24. He remains in detention at the Richmond Hill Prison. At the time of his arrest, he had been en route to Canada via the Maurice Bishop International Airport. Haniff, who is a retired construction worker, was represented by Attorney-at-Law, Derrick Sylvester. Meanwhile , Guyanese Derrick Patterson remains on remand in Grenada until May 24, 2018 when he will make another court appearance. His brother, Guyana’s Minister of Public Infrastructure David Patterson, has said that he has to bear full responsibility for his actions as a 47-year old adult. Still in the Magistrates’ Court in St. George’s, Grenada, Jamaican-American, Keeno Taylor was charged with drug trafficking. He was arrested on Wednesday, May 16, 2018 moments before he was due to board a flight to New York. Authorities there alleged that he has 1.3 kilogrammes of cocaine in his luggage valued at 132,000 Eastern Caribbean dollars. He was remanded to prison until May 29, 2018.